From the perspective of the medical profession, the idea of “midwifery“ was very far from the topic of individual midwives, which were described as ‘female practitioners of midwifery’. Doctors thought of midwifery as a field of medical study that prepared a physician to provide childbirth services as a part of his practice. As such, the goal of the medical profession was to eliminate midwives from the practice of midwifery, so doctors could take over the provision of childbirth services as a part of their general practice of medicine. This fact clearly articulated below in the Day 1 Historical Comments for 1820. “Midwifery” is a historical word from Middle English that described childbirth services as provided by female ‘midwives’, and sometime much later, male physicians referred to as ‘man-midwives’. 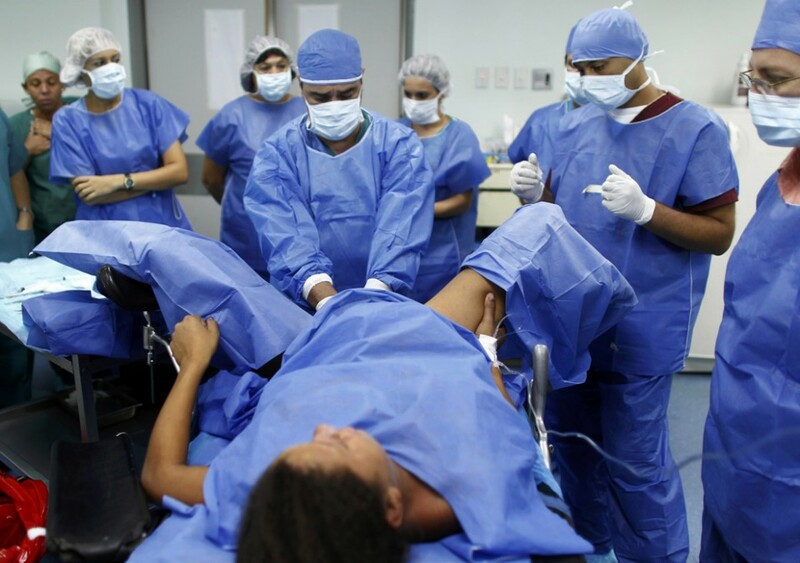 The word ‘midwifery’ was also historically used in medical education to identify the discipline that instructed medical students in normal childbirth practices. 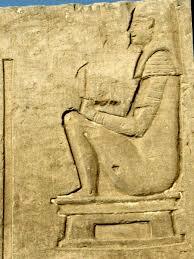 Medical textbooks used the word to indicate the study of normal childbirth and its pathologies, such as “The Art of Midwifery and Churgery” (surgery). One obstetrical textbook for doctors published in the UK as late as 1955 was titled “The Modern Practice of Midwifery & Gynecological Surgery“. 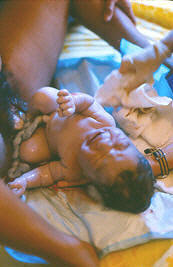 The obstetrix was one of three women who traditionally assisted the mother-to-be during childbirth. Two of the woman-helpers stood on each side of the laboring woman, steadying her in an upright position or helping her squat while pushing. 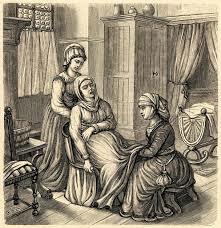 As the baby was being born, the obstetrīx/midwife usually stood or crouched down in front of the laboring woman, assisting the mother as she pushed, helping the baby if necessary, catching the baby as it was being born and handing it up to the new mother. 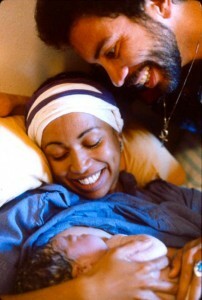 This fascinating story begins with healthy childbearing women as fully conscious, clear-headed, in-charge of ourselves, unencumbered, on our own two feet, supported by family or friend while we gave birth spontaneously into the experienced hands of the midwife, who handed our newborn babies up to us to hold safe and warm in our arms. By the 18th century, the traditional role of the childbearing women as active agents of their own births began to be changed by external forces that had nothing to do with the biology of normal childbirth or the desires of laboring women. Over the next three centuries, this story becomes increasingly dark, as women role in childbirth was increasingly restricted to their inert physical body as an object to be acted on by others. 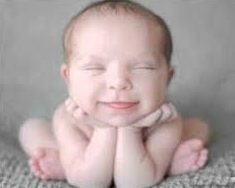 In Europe members of medical profession believed that childbirth would be safer if physicians were in charge of the biological process of labor and birth. 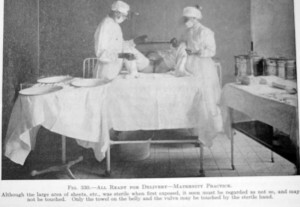 By the early 20th century, the participation of women as family members, friends, and midwives who physically and emotionally supported the laboring woman was replaced by the medicalized of labor and re-defining normal childbirth as a surgical procedure ‘performed’ by physicians under general anesthesia. 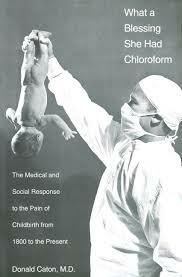 By the early 20th century the medical profession in the US began to move normal childbirth into the hospital. Laboring women became increasingly encumbered and restricted to a hospital bed in the passive role of a “patient”. 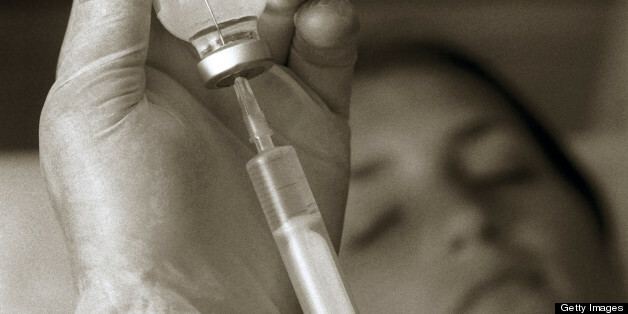 These women were isolated from friends and family members and instead medicated in semi-consciousness with the mind-altering drug known as Twilight Sleep — a combination of morphine and scopolamine. 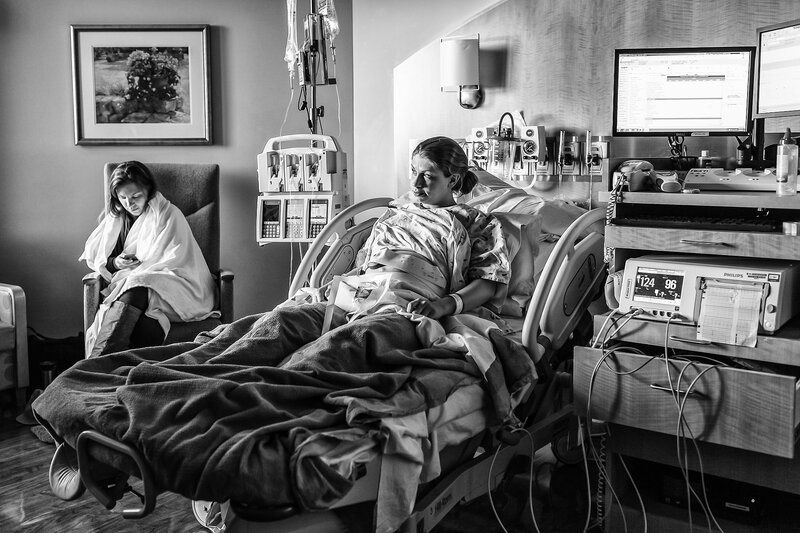 Laboring women were bedded and immobilized by many as 7 different plastic tubes and electronic cables connecting the mother-to-be to bottles of IV fluid, electronic fetal monitors, Foley catheters and the like. 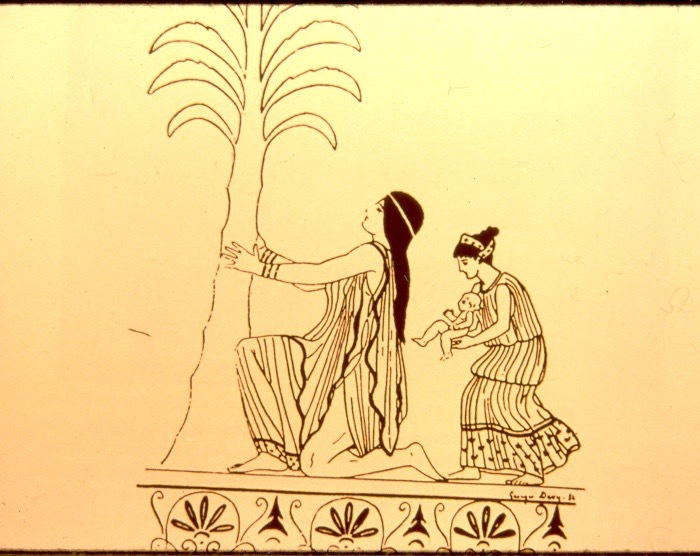 Medicated, anesthetized, and no longer able to stand up or move about, the woman’s role was to endure labor as someone being held hostage by an alien culture. 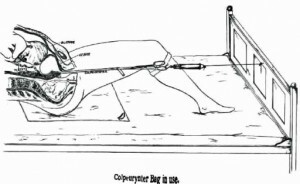 This anti-gravitational position in the labor room photo above and in the delivery room scene below forces women to push their babies uphill and finally give birth on their backs in the stranded beetle position. 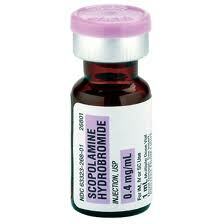 Medicalized births, which typically include the routine use of anesthetics (approx. 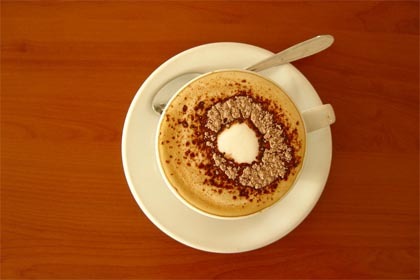 80%) disrupts the spontaneous biology so dramatically that a mounting level of intervention will be required. This includes the use of drugs to increase the forcefulness of labor, surgical procedures such as episiotomy and forceps to pull the baby out of the mother’s anesthetized body, and operative delivery (forceps, vacuum extraction, and Cesarean surgery) to pull the baby out of the mother’s inert body. 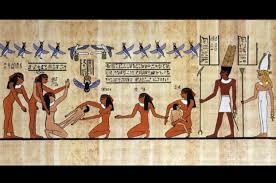 This ultimately resulted in the most profound change in childbirth practices in the history of the human species. 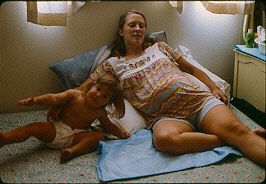 Since the 1970s, the CS rate in the US climbed from under 5% to approximately 33% — one out of three childbearing women — found themselves lying on an OR table, arms spread out and restrained in the classic “crucifix” position as a masked and hooded OR staff prepare to remove her baby through an abdominal incision. 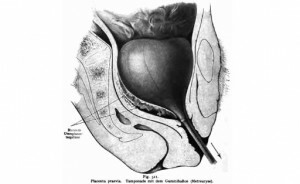 Compared to the 5,0000 or years of biologically normal childbirth practices, care provided during labor and birth have changed beyond recognition, a change so drastic and far-reaching that the “institutional” memory of normal childbirth was virtually eliminated, exchanged for the most restrictive, most invasive, most dehumanizing practices that were harmful to both mothers and their unborn and newborn babies. The female half of the human species lost big time, all over the world, but most especially in the US. 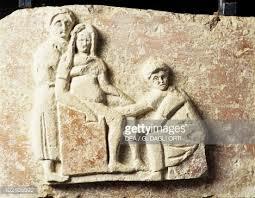 The most ancient artwork begins with unencumbered women in 2nd stage labor in various supported upright positions with the “midwife/obstetric” standing or crouching in front of the mother to received the baby and handing it up to the mother, or in some cases, the mother lying back on a divan, bed or deep water pool to give birth, and pushes her baby out into the midwife’s waiting hands and she hands the new baby up to its new mother. 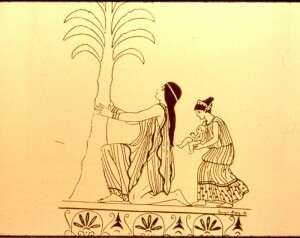 Women as an active agents in their own normal labors and birth have for 5,000 or more years naturally made ‘right use of gravity’ by laboring in upright position, able to move about on her own two feet, helped by other women and midwives to give birth as an unencumbered person able to choose the place, the person and the position that best suited her and the actual events of the birth. 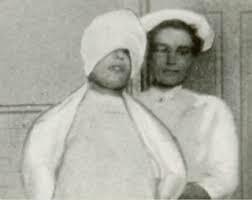 After being moved by stretcher from the labor ward to the OR-type delivery room, her hands would be put in leather wrist restraints, lest she touch something and contaminate the doctor’s sterile field. Her legs would be strapped into stirrups, her crotch scrubbed with an antiseptic soap, and her body covered up under mounds of sterile sheets. When the doctor arrived, the mother-to-be was rendered unconscious under general anesthesia. The physician-obstetrician then deftly performed a ‘baby-ectomy’ using ‘low’ forceps. In these circumstances, women no longer gave birth — doctors ‘performed’ the surgical procedure of vaginal ‘delivery’ while the mother was unconscious. 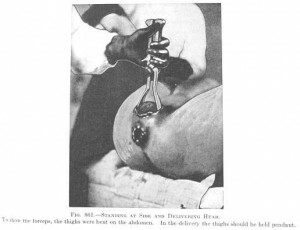 by the 60, 70s and 80s, many parts of the county began to the use of spinal and pudendal blocks (a form of local anesthesia) during the ”delivery” (birth of the baby). 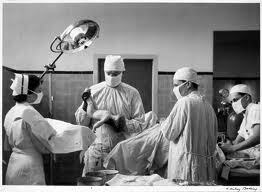 Eventually, general anesthesia was replaced by the use of epidurals during both labor and birth. Women were no longer unconscious (although labor patients in these pictures look like they’d be happier), but labor and birth were still heavily medicalized and women moved to the delivery room for the birth, where they continued to disappear under a mountain of sterile drapes. 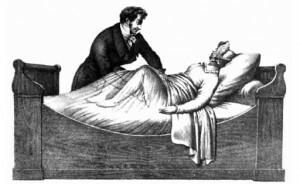 For women who were not anesthetized, the head of their bed was sometimes gatched up so they were no longer flat on their back when the (now) unmasked stranger caught their baby. 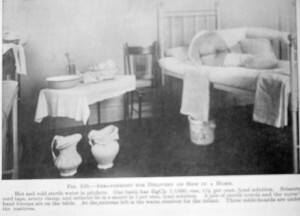 By the 1900s and early 2000s, modernized obstetrical protocols replaced the routine use of the delivery room with LDRP beds that can be taken apart and turned into a gynecology-type OR table. Also the mandatory use of OR-garp had been relaxed and surgical masks were no longer mandatory. 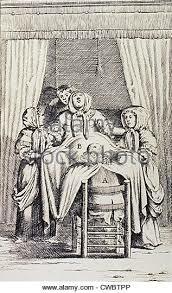 However women laboring under epidural are still unable get out of bed or move about very well, so they also lay on their backs, still pushed the babies out over empty space to be ‘caught’ by the masked stranger standing at the end of the LDRP be/delivery table. 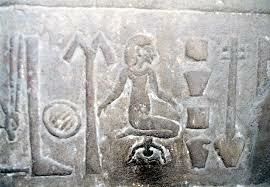 A few lucky women managed to use a squatting bar, or “allowed” to give birth lying on their side. This was an improvement but note — the labor woman’s feet still never get to touch the ground, she is never a physically free agent, to hold up her own body, and move about at will. This very depressing story culminates in the late 20th and early 21st century with the laboring woman strapped to an OR table in the classic “crucifix” position and the masked and hooded OR staff pulling her baby out of a Cesarean surgery incision. 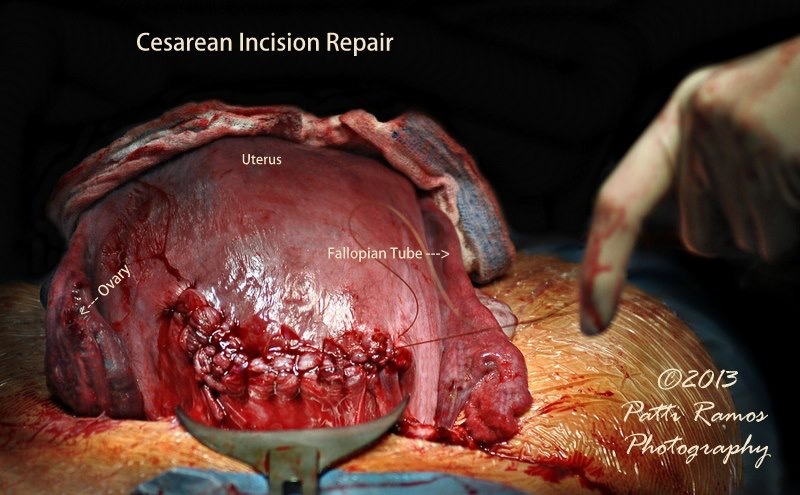 Special Cesarean operating room to provide care to women with a relatively common (but life-threatening) complication of a previous CS — abnormal placental implantation called “accreta” or “percreta”, which requires a Cesarean hysterectomy.